Bitcoin and cryptocurrencies are poised to “fuel a potential new internet,” even with a high level of volatility, said Alexis Ohanian, founder of the social media giant Reddit. 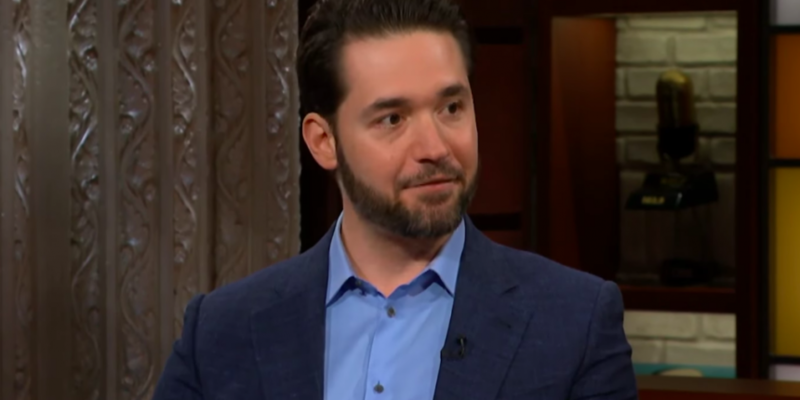 Appearing as a guest at the Late Show with Stephen Colbert on Tuesday, Ohanian touted the idea of a digital currency acting as a “store of value not backed by a single country.” While he said that idea may sound silly to people living in more developed nations such as the U.S., Ohanian believes the real value of cryptocurrency is its ability to secure and transfer assets across national borders, especially for countries that are less economically stable. “For so many people in the world to have that security of knowing what’s yours is yours – because it [cryptocurrency] is now digital, it can be transferred with you wherever you are going – is actually pretty empowering. Later in the show, Ohanian noted that he ceased managing the day-to-day operation of Reddit in January this year and has initiated a venture capital fund together with former Y Combinator partner Garry Tan. As part of that effort, Ohanian and Tan have also recently participated in a funding round for the sharing economy blockchain startup Origin through a Simple Agreement for Future Tokens (SAFT) sale as previously reported by CoinDesk. Reddit itself is also looking into cryptocurrencies – just last week, Reddit’s technology head indicated that platform is planning to reintroduce cryptocurrency as a payment method for Reddit Gold members, and may feature ethereum and litecoin in addition to bitcoin.